Technology Market Intelligence Firm Expects Industry to Reach 5.4 Billion Shipments by Year’s End and Predicts Decline of NFC SIM Market. In a recent market data assessment, ABI Research, a leader in technology market intelligence, analyzes this year’s healthy increase of the global SIM card industry, determining that the market will reach 5.4 billion shipments in 2015 and mark a moderate 4% year-on-year growth. 4G and 3G SIM shipments similarly follow a healthy growth trajectory, increasing by 109% and 12% respectively, with 2G continuing to trail behind at an anticipated 14% decline. The firm, however, forecasts a dwindling future for the NFC SIM market following a few impressive quarters in 2014 and expects to see a more substantial growth rate favor the embedded secure element. In its report, ABI Research assesses current market trends and analyzes data from corporations including Gemalto, Samsung, Oberthur Technologies, Morpho, Infineon, Watchdata and G&D, among others. Findings show SIM IC manufacturers continue to push toward the implementation of the SWP (Single Wire Protocol) secure element in SIM Cards since they also share a similar vision regarding the future of the NFC SIM. In comparison, data suggests NFC SIM shipments to reach 204 million in 2015, which is a mere 21% increase from last year’s impressive 120% increase. In addition, machine-to-machine (M2M) SIMs are slowly starting to share the spotlight, with M2M shipments and the MFF form factor projected to increase considerably between mid-2018 and early 2019. 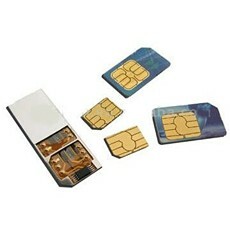 Read ABI Research’s SIM Cards report and SIM Card ICs report.